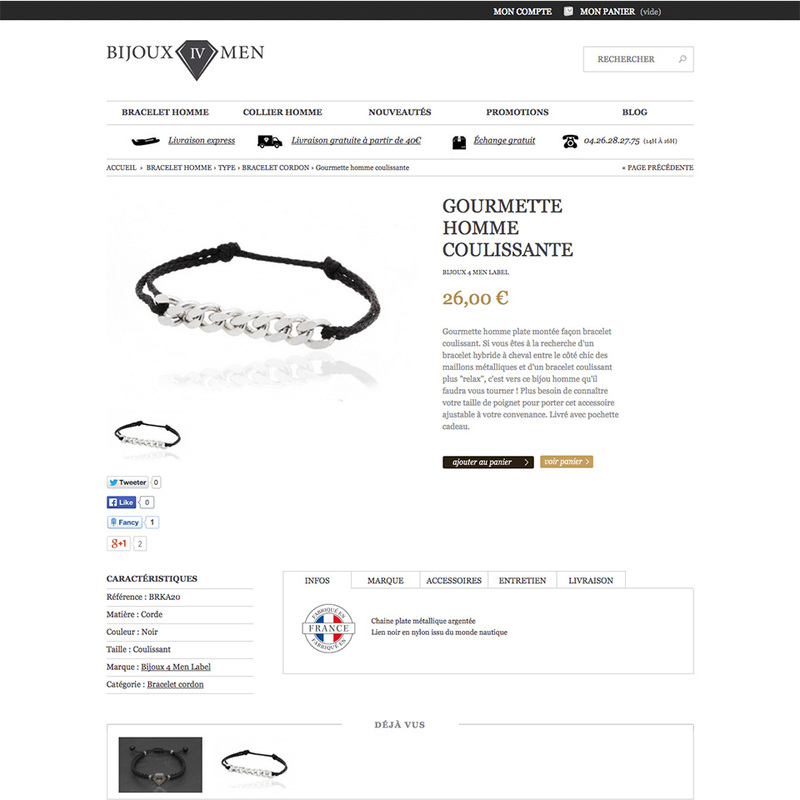 Description After optimizing their site, Bijoux4men asked me to build the new version of their e-commerce online shop. For this new design, it was necessary to migrate the datas to the latest version of Prestashop, to build a fully editable homepage via an unique module, to set up the layered navigation and to make SEO friendly fields in the administration panel to improve the position in search engines. My mission was to take care of developments by overriding Prestashop and to set up the online shop. I also helpt for the front end development done by another front end developer later on.